The basis for a new documentary on Investigation Discovery! With photos for the first time in ebook! Sharon Nelson, a Colorado woman, had her lover Gary Adams murder two of her three husbands. 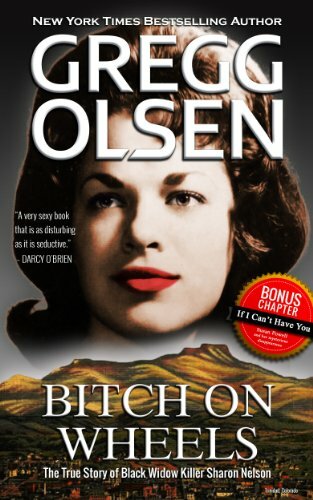 But more interesting than the crime itself is Olsen’s portrait of Nelson as a brash, trashy, manipulative sexpot who believed that she was entitled to (and got) everything and everyone she wanted: even her confession, given freely to police in a Pizza Hut in 1988, was anything but contrite. Moreover, Olsen records the recollections of many community members who saw Nelson for what she was, yet seemed oblivious to the adultery, theft and murder under their noses (Publisher’s Weekly).